Like father, like daughters! 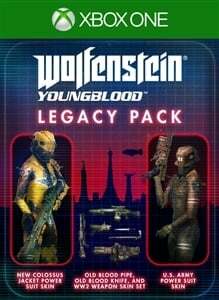 Pre-order now to receive the Legacy Pack and unlock outfits and weapons used by BJ Blazkowicz, including: - New Colossus Jacket power suit skin - BJ's U.S. Army power suit skin - Old Blood Pipe - Old Blood Knife - WW2 Weapon Skin Set, for all ranged weapons Wolfenstein: Youngblood launches on July 26, 2019. Wolfenstein: Youngblood is the first modern co-op Wolfenstein adventure. Team up with a friend or play solo as one of BJ Blazkowicz’s twin daughters and wield a powerful arsenal of new weapons, gadgets, and abilities to liberate Paris from the Nazis. The Deluxe Edition includes: - The Buddy Pass - The Cyborg Skin Pack Pre-order now to receive the Legacy Pack and unlock outfits and weapons used by BJ. 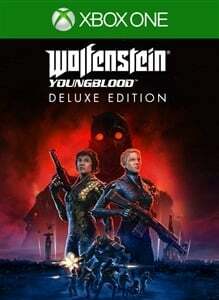 Wolfenstein: Youngblood is the first modern co-op Wolfenstein adventure. 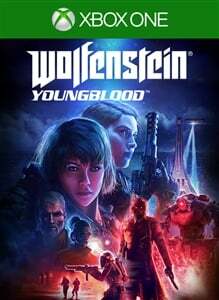 Team up with a friend or play solo as one of BJ Blazkowicz’s twin daughters and wield a powerful arsenal of new weapons, gadgets, and abilities to liberate Paris from the Nazis. Pre-order now to receive the Legacy Pack and unlock outfits and weapons used by BJ Blazkowicz.